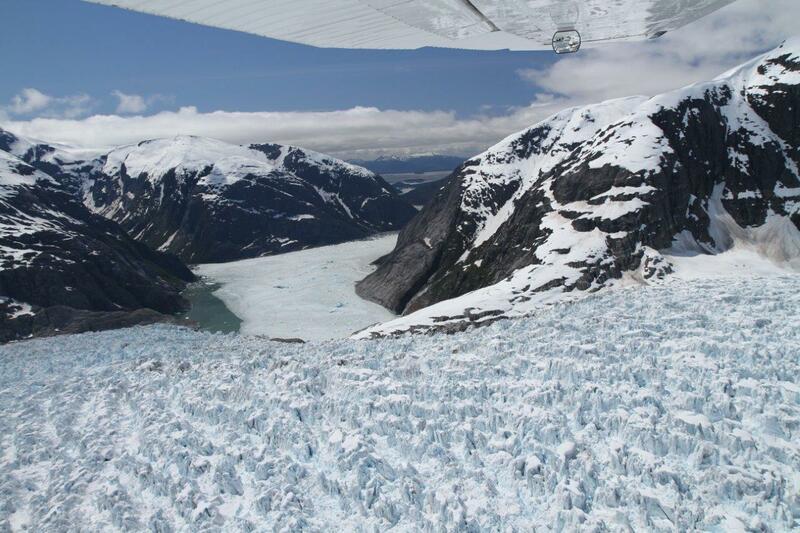 Alaska glacier tours* are unquestionably bucket-list adventures, offering unparalleled views in a spectacular charter flight experience. Aerial tours can be arranged that depart from and return to Boardwalk’s dock, right on the resort property. 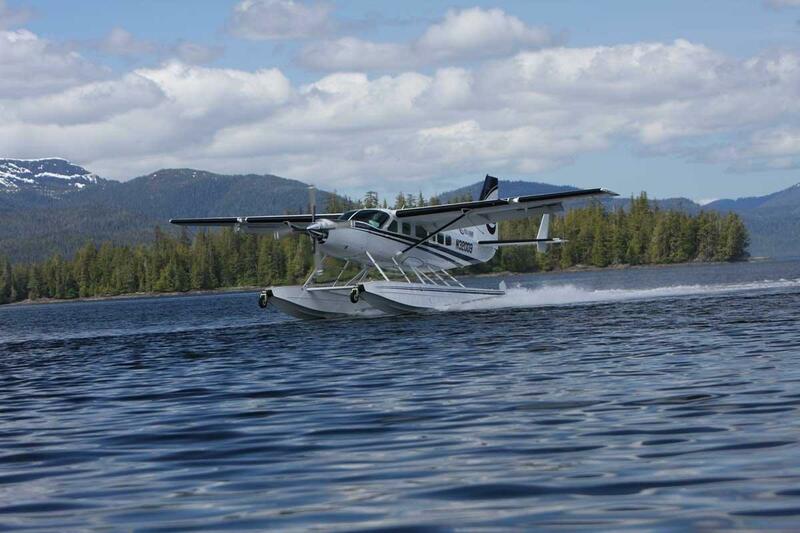 Excursions are guided by experienced Alaska pilots in modern jet-prop aircraft. Each passenger in your group will have their own window seat and headset, flying in complete comfort. You can immerse yourself in Alaska’s beauty and experience amazing views, including Prince of Wales Island’s rainforest, LeConte Bay icebergs, and the LeConte Glacier. 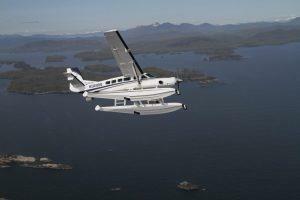 Aerial tours provide unique access to Alaska’s pristine beauty and awe-inspiring views. You’ll be soaring over the 17-million acre Tongass National Rainforest – the largest national forest in the United States. Because of its remote location, it’s home to many endangered species of plants and animals. Often times you’ll be able to view wildlife as you soar overhead. 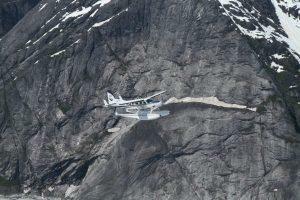 During your aerial tour, you’ll also fly over colossal icebergs floating in LeConte Bay. You may even be fortunate enough to observe the glacier’s “shooter icebergs,” which detach beneath the water and shoot out (because of their buoyancy). You’ll be in awe at the massive 21-mile LeConte Glacier, which is the southernmost tidewater glacier in the Northern Hemisphere. The glacier has shaped this vast terrain for millions of years. Experience these and much more from a bird’s eye view. 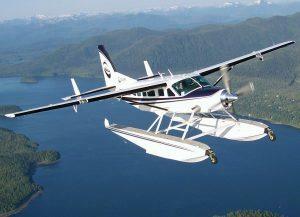 We are very excited to share this flightseeing tour with you and your group. Flying over Alaska’s glaciers and rainforest really does give unparalleled views that provide an unmatched encounter. Book your stay at Alaska’s Boardwalk Lodge now, and consider scheduling one of these amazing glacier tours as well.